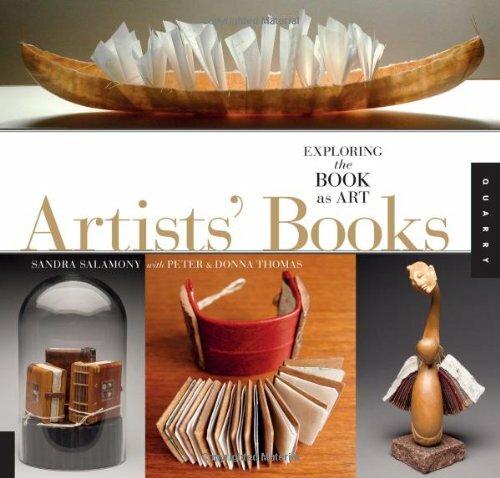 1000 Artists' Books has some of the most fascinating hand-crafted books I've ever seen. This 320-page paperback packs 1000 wonderful pictures of them. You'll be amazed at what can be turned into pages and books. There are books with wooden covers, one that looks like a guitar, another is a building complete with signage, one literally has a nest of eggs. Many use specially designed paper, like clear plastic, sponge-like seaweed thing, canvas of indescribable textures and more. There are so many different treatment and presentation. Every page is a surprise. Towards the back is a section called Sculptural Books that really push the concept of what's possible. Although they no longer fall into the categories as books, they still are great pieces of art and craft. Fascinating collection of artists books.